The beauty of walking is it's always affordable and universally acknowledged as a healthy activity for all ages. In addition to making our own lives better, the things we do to improve our community walking will also attract active, inquisitive, respectful tourists. Downtown–Marwell is busy busy busy with walking opportunities and growth. Loop walking Trails shows over 80 circular walks. Some have restrictions for use by time of year, such as don't use this loop trail, or wetlands needing to be frozen or ski trails that need to be stepped over. The Hepburn Tramway. Designating Whitehorse's first Historical Walk. Let me know what you think. At this stage we need to lobby people. Yukon River Corridor Trail could re-establish traditional First Nation route alongside the Yukon River. See also draft Yukon River West, south end trail. Access alpine hiking by improving roads up Mount McIntyre, Grey Mountain and Haeckle Hill/Mount Sumanik. Airport Perimeter Trail: This well used trail has many rough spots: soft and sandy, falling off the edge, ... Yet parts of it have a long city history (the Bridal Path). One day it will likely all be paved. Mount McIntyre Recreation area: There's lots happening here — it's both a neighbourhood recreation area and a potential major destination. It contains the Whitehorse Cross Country Ski Club trails. It's also the source for McIntyre Creek. Yukon Walking Strategy shows how we could get creative as a community by thinking walking. Stewardship: Better neighbourhood walking will come when neighbourhoods have a sense of stewardship. Here's examples of what others are doing. 5 OCP City Parks: Planning is doing a small initial contract before tackling the bigger question of how to address these parks. Safe roadway crossings: Both the Alaska Highway and Mountainview Drive will become 4-lane roads in the not too distant future — what about walkers needing to cross them. Public right-of-ways: It can be hard finding neighbourhood short-cuts, even in your own neighbourhood. Both ends of walkways need to be clearly signed and mapped. There's often an emphasis on education and codes of ethics as a way of resolving conflicts. I looked, unsuccessfully, for a code of ethics on local recreational vehicle sites. Hopefully it doesn't take a bad accident before trail safety, trail ethics becomes a topic of discussion. Quiet places–Non-motorized greenspaces: One of the joys of walking can be a sense of peace. We'd all like be able to find a few places where we can savor tranquility, as recommended by the ATV task force. Urban Containment Boundary highlights the city's plan to make this area the focus of future growth. Culture of walking: Walking events build a sense of being a walking community. Think about how to change things so walking as an activity becomes a community focus. Tourism and walking: How can Whitehorse, and the rest of the Yukon, create a niche tourism market? Active transportation: study is done. Our mission, to double walking from 7% to 15%. Impossible some say. Walking festival: A wilderness city, with clean air, trails, spectacular scenery, but no walking festival? Some neighbourhoods cry out for needing community associations. Mt. Sumanik Ridge, a 30-km loop walk that we could work towards building. Knuckle Ridge, an all-season hike along the north ridge of Mount MacIntyre. 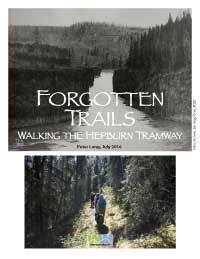 Walking in the Yukon: List of walking opportunities in places outside Whitehorse; helpful for those who might be happy going around the Yukon and walking in the communities. White Pass Border hike: At the US/Canada border on the Skagway Road is a short easy hike. It's tricky to find good walks up on the pass that you can recommend to visitors. This trail is mostly in Canada and starts at the parking lot in Canada. How can we get this hike to be at least minimally marked? 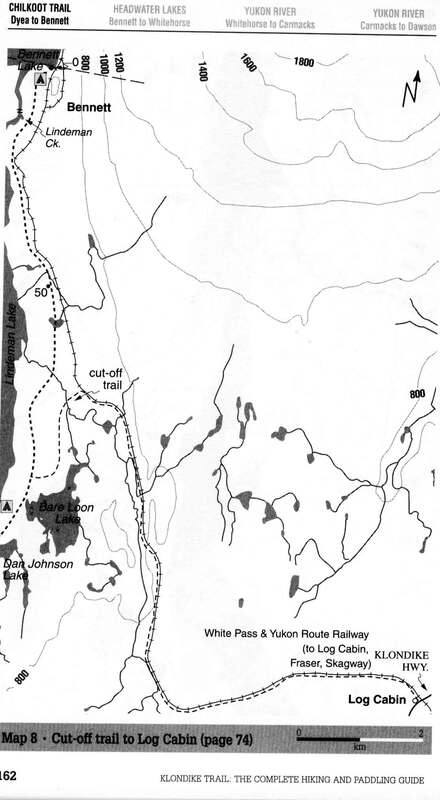 I wonder if there's a modern map showing the old traditional trail network throughout the Yukon. Something to look for. Interpretation: Can government's Wildlife Viewing Program address a broader interpretative/safety need? Here's a chance to attract new people to the outdoors; protecting an environment. First Nations: People have lived here for thousands of years and what their lives were like over these every changing and sometimes very harsh conditions is an integral story for interpreting. People want to learn more about their lives over time. Geology and geography: How can we talk about interpretation without involving geography and geology? Yukon's Geological Services have done bits of public interpretation but they could present a very informative viewpoint to walkers. Wouldn't it be neat to see The Evolution of Continents focussed on Whitehorse or the Yukon. Beringia and the glaciers: We have an interesting opportunity in Whitehorse to tell the fascinating story of glaciation and melting. The glacial lakes, some sense of what the Yukon River was like while the ice was melting and what it was like for First Nation people here as the ice melted and the glacial lakes drained. Squirrels: We see them so often in our back yards and in the greenbelts. A recent wildlife viewing squirrel event left people astounded by the depth of knowledge local studies has built up. Let's share this! Greenspace safety This is a big topic. What role does government have in thinking safety? Bears, challenging topography, mapping, how to not get lost are a start of things both residents and visitors have to deal with. Trees and shrubs: One of my personal projects is to make an identification key for trees and shrubs in our neighbourhood Paddy's Pond/Ice Lake Park area. The next stage is identifying the willows that we have here. My goal is a tool that the Yukon Literacy Council approves of. Wetlands: Whitehorse, and the Yukon, have many wetlands. Why is this important? Spring plant life.What are the first signs of growth, the first flowers? 4 fairly detailed prototype maps: 65 x 28 inches ~7-8mb. Don't try to print them, just zoom in using the PDF zoom tool. Start with areas you know, like your neighbourhood, then explore. Think about trails which you've hiked, which ones you'd recommend that visitors can safely do. If we ever get the community energy to have a walking festival here, which walks would you recommend? The 5 OCP parks: Having thought about trails, what do we want our parks to be like?